<div style="text-align:justify;">Sometimes you need information of when a file is modified. These examples will show you how do that. 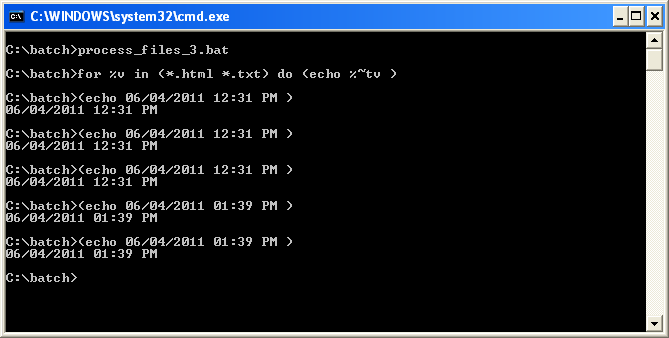 Get file's modified date and time from a list of 'html' and 'txt' files. 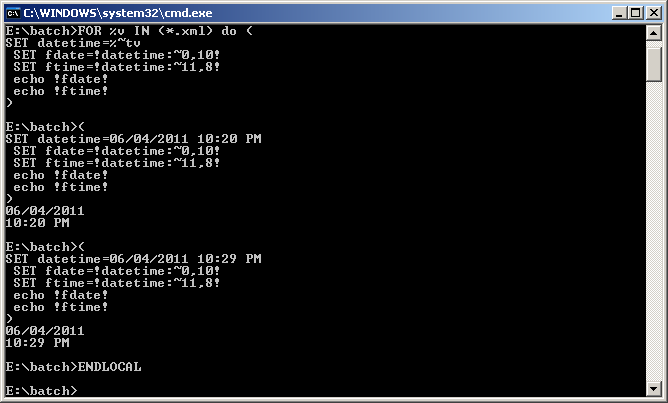 As you can see in the example above, %%~t return a string format of the file's modified date and time. So how do we parset it into different portion that can be manipulate independently ? Here's the sample code to display / echo date and time separately for a number of *.xml files after they are parsed - special thanks to Andriy M for the comprehensive guidance and solution on this problem.